Ibrox Noise: Can Rangers flop finally rise to the occasion tonight? Can Rangers flop finally rise to the occasion tonight? Rangers players so far have acquitted themselves impressively on the international stage this fortnight break. Alfredo Morelos nutmegged to make the most of his near-10 minute Colombia cameo, Borna Barisic had a fine night with a goal v Azerbaijan, Kyle Lafferty nailed an assist, Steven Davis a penalty goal, Eros Grezda a solid night v Wales and generally those who played can be very happy with their contributions. 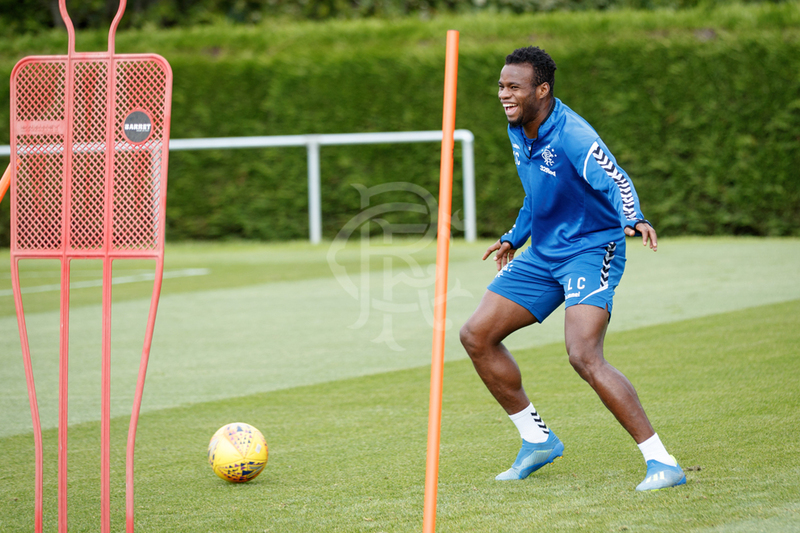 However, tonight on-loan Angers man Lassana Coulibaly will attempt to win his 12th cap for his nation by starting (or coming on) against South Sudan in the Africa Cup of Nations, in a move that could finally ignite his stuttering season at Ibrox, and give Steven Gerrard a real midfield headache. We saw until mid-August and his injury v St Mirren before reported family bereavement in the deeper autumn how good this 22-year old midfield powerhouse could actually be. He was single-handedly snuffing out opposition midfields and breaking up all sorts of attacks – truly living up to the ‘destroyer’ handle Gerrard had given him. But after St Mirren in August he’s been inconsistent at best and a complete waste of a shirt at worst – regardless of further potential extenuating circumstances being the death of his father. Naturally as human beings, whatever life traumas befell the boy we deeply sympathise, but sympathy isn’t going to win our midfield. But a good display for his country in a meaningful match tonight could well give him the confidence he needs to get back to something like his best. Various Rangers players have played extremely well recently for their countries, despite questionable club form at Ibrox – Kyle, we’re certainly looking at you, and Borna, you don’t escape this either. So hopefully Coulibaly too will rise to the occasion, perform well for his nation tonight, if selected, and finally kick on at Ibrox. Of course many might say it’s a little too little, too late, but there are still quite a few matches left in the SPL and early August’s Lassana Coulibaly might be a welcome addition to a Rangers midfield that has undeniably running on empty in recent matches. We’ll see how it goes in the ACN. One good display is not going to change the fact that he's been rank-rotten all season. He has to go. Would you really want him to come good at this stage in the season. Let's suppose he did and we decided to sign him then he disappears for 6 months next season. He has shown he can be a decent player but is nowhere near good enough.